Thinking about taking the big leap into the world of home ownership? It may be the biggest purchase you’ve made in your life so far, but that doesn’t mean it has to be a frightening experience. If you’re prepared and you have the right assistance, buying your first home should be a thrilling and positive experience. To ensure that your initial foray into property purchasing is a success, follow the Neir Teams list of top tips for first-time homebuyers in Denver. If you haven’t already found a Denver real estate agent to work with, that should be your first move. Real estate professionals are especially valuable to first-time buyers who have never been through the process before. Their advice will be invaluable when prioritizing needs, budgeting, searching for a home and negotiating. When it comes time to buy a home, you don’t want your finances to hold you back. It’s wise to verify your budget capabilities and your credit score before you even begin looking for homes. Saving and budgeting aren't just for your down payment. You’ll probably need to tighten your belt a little to account for the new mortgage payment you’re about to take on. You’ve probably been dreaming for years about finding that ideal home that meets your every need and desire. We’re not here to say you shouldn’t have everything you want in a home, but the realities of the market and your budget may force some compromises. Work with your real estate agent to set a realistic list of needs that are must-haves with your first home. A realtor isn’t the only professional you need to work with to complete a successful property transaction. A home inspector must be hired to check out the condition of the property you’re interested in purchasing. You’ll also have to hire an appraiser to determine the accurate value of the home. Your real estate agent can recommend reputable professionals for both tasks. Compare various lenders and really dig into researching their policies and rates before you secure a mortgage. It’s a decision that will affect your finances for years to come, so the more you understand upfront the better. We’ve seen plenty of first-time homebuyers in Denver who forgot to budget for closing costs. Take your time and work with a real estate professional to understand any extra charges that may come up after you close on your property. Land transfer taxes, legal costs, and disbursements are a few examples. Purchasing a home should be exciting, but there are plenty of obstacles that could spoil the experience. With the right help, you can overcome the challenges and find your dream home. Following our tips for first-time homebuyers in Denver is one way you can improve your chances of walking away happy. 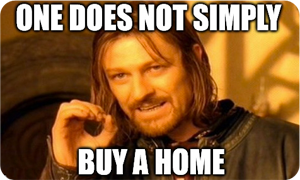 If you’re ready to get started on your journey to becoming a homeowner, contact the Neir Team today! We are experienced Denver real estate agents specializing in the needs of first-time buyers like you!